An exquisite Karams. 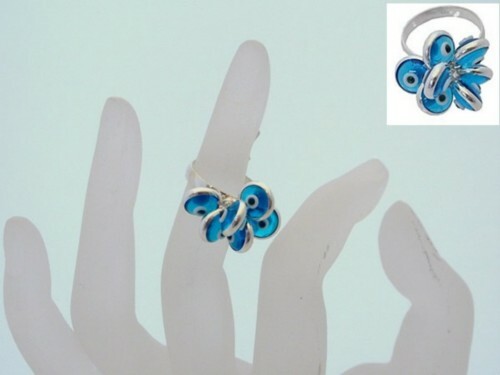 .925K Sterling Silver Ring with Transparent Blue color genuine Murano Glass Evil Eye -Good Luck" Beads. All Karams jewelry are hypoallergenic and handcrafted by Master Jewelers and individually inspected. Other colors, designs and matching earrings, pendants are available. Available sizes are: 5.5, 6, 6.5, 7, 8, 8.5.